Staying indoors when the sun is shining, having pizza for dinner and Zombie films at night. 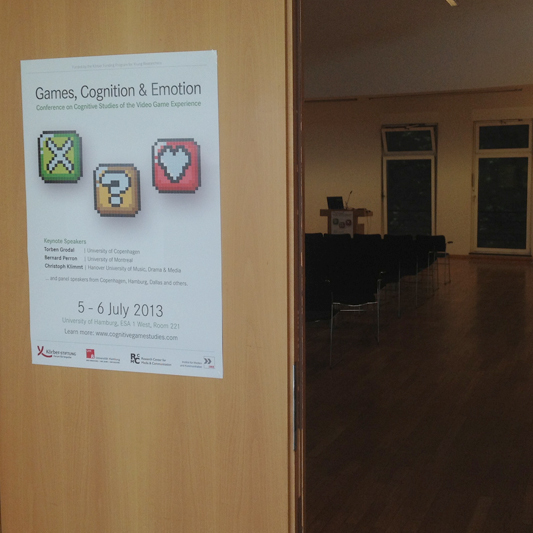 The international conference “Games, Cognition, and Emotion” which took place from July 5 till July 6, 2013, at the University of Hamburg did not fail to evoke stereotypical gaming-related associations. But neither did it fail to achieve its goal: to provide a forum for video game scholars with a shared interest in cognitive theory and to enable two days of exciting presentations and enriching discussions. 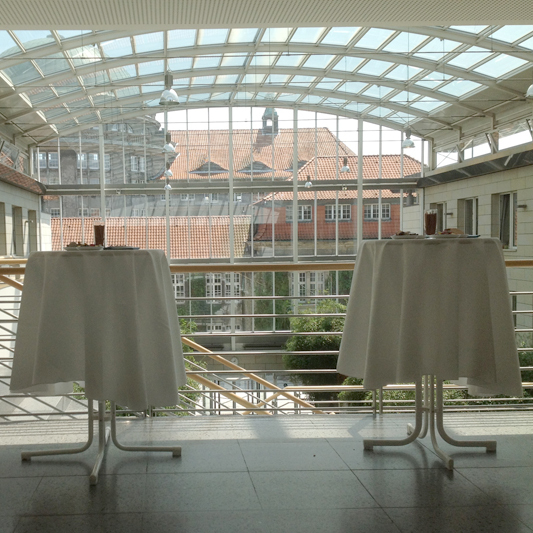 The conference was sponsored by the Körber Funding Program for Young Researchers and organized in cooperation with the Institute for Media and Communication and the Research Center for Media and Communication, University of Hamburg. 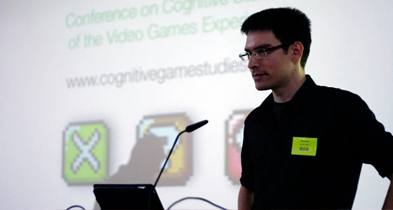 Its focus lay on the experience of playing video games from a cognitive perspective, more specifically on the question of how cognitive psychology could be used as a theoretical framework for describing player’s cognitive, affective and bodily responses to playing video games, and how it can inform the analysis of video games as artifacts designed to elicit such responses. Therefore 14 speakers from Canada, the US and all over Europe were invited to contribute to the project that might be called ‘cognitive game studies’. 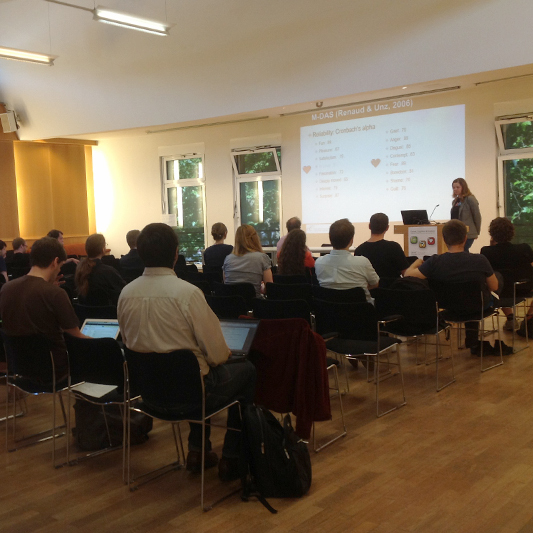 The main three conference topics were “Games and Cognition”, “Games and Emotion”, and “Games and Effects” which were all to be introduced by one of three distinguished Keynote speakers. First up was Torben Grodal (Copenhagen) whose intriguing Keynote Lecture connected the video game experience with his famous PECMA flow model. He argued that most games predominantly rely on cognitive-motor control, supported by dopaminergic seeking functions, thereby ruling out emotions based on passive effects. He concluded by pointing to the paradox that although video game play is usually described as a form of playfulness, it is – cognitively speaking – in several dimensions not a playful activity at all. The following session “Games and Cognition” picked up on some of these notions. Andreas Gregersen (Copenhagen) discussed how canonical agency is used as a widespread design pattern in video games. He argued that although input devices like the Nintendo Wii oder Microsoft Kinect strive after isomorphism by synchronizing ‘real’ and ‘virtual’ body movements, the more enjoyable experience might arise from the opposite strategy: maximizing audiovisual representational feedback while minimizing the player’s motor actions. 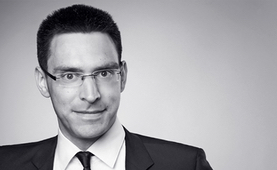 Benny Liebold (Chemnitz) then addressed the link between emotion and focused attention allocation during gameplay. Building on neuroscientific research he discussed how high-order and automated cognitive processes of attention allocation are supplemented by an emotional component, and illustrated how certain elements of gameplay eliciting emotional reactions can feed back into cognitive processes of attention allocation. As the last session speaker, Jan-Noël Thon (Tübingen) addressed the problem of the intersubjective construction of storyworlds in contemporary video games. He proposed that although individual playthroughs of different players might differ from each other, there is an intersubjectively ‘stable’ core of representations generated by a given game. In addition, players would apply medium-specific ‘charity’ when attempting to intersubjectively construct a storyworld on the basis of a combination of narrative strategies of representation and interactive simulation. The second focus of the conference, “Games and Emotions”, set the tone for the next Keynote Lecture as well as the Friday afternoon and Saturday morning sessions. In his exciting and insightful Keynote Lecture Bernard Perron (Montreal) revisited cognitive film theory and emotion theory to apply them to video games. Building on this body of research he proposed to distinguish between gameplay emotions, fiction emotions, and artifact emotions, illustrating the different emotion types by refering to games like Journey, The Walking Dead, or Heavy Rain. Picking up on Perron’s notion of the gamer’s ‘affective space’ Kathrin Fahlenbrach (Hamburg) discussed the affective functions of spaces for gameplay in different genres, and presented a cognitive approach to analyzing their metaphoric and multimodal design. Jonathan Frome (Dallas) explored how the emotion of sadness could be elicited in video games – even without any significant reliance on character or narrative – by analyzing Jason Rohrer’s independent, open-source videogame, Passage. Connecting both perspectives, Sebastian Möring (Copenhagen) analyzed the abstract game The Marriage between the poles of presentation and representation: He argued that the representation of love in the game is only possible through its phenomenological absence and the presence of its emotional opposite, fear, on the level of the gameplay experience. In my own talk “My Avatar and Me. Toward a Cognitive Theory of Game Characters” on the second day of the conference I proposed a conceptual framework for describing the way video game characters are experienced and, hence, should be analyzed. The last presentation on games and emotions was given by Julia Kneer (Rotterdam) who discussed displayed violence, difficulty, and performance as predictors for postgame emotions. The results of an empirical study on Team Fortress 2 players indicated that displayed violence did not have any influence, while difficulty was found to be a significant predictor for postgame emotions. The third focus of the conference lay on “Games and Effects”, broadening the perspective to include empirically working disciplines like media psychology. In his paper Leonard Reinecke (Mainz) discussed the complex interaction of the use of video games and psychological well-being. As a counterpoint to stressing the negative cognitive and emotional effects of video game play, the presentation focused on the everyday usage of video game play for intrinsic need satisfaction and concluded with a preliminary discussion of potential moderator and mediator processes that may foster or hinder the positive well-being potential of games. Before the conference ended with a closing discussion which addressed issues like the nature vs. culture debate or the need of tackling the video game’s medium specificity, Daniel Pietschmann (Chemnitz) presented the final paper of the conference: With regard to stereoscopic 3D and natural user interfaces he discussed the spatial mapping of input and output spaces in video games. Drawing on the concept of spatial situation models he explored the factors underlying the user experience in Wii, Kinect, and 3D video games and ways of improving it further – thereby also drawing a line back to the very first paper of the conference on canonical agency and embodiment. From my perspective, the fascinating talks and discussions as well as the very familiar and pleasant atmosphere made the conference an all round pleasant experience (with most of the speakers ending up in a pretty little cinema on Saturday night watching World War Z and discussing cognitive, emotional and ideological implications of this experience afterwards). Very special thanks go to Torben and Bernard, to the fantastic speakers, as well as all the participants, sponsors, supporters, and helpers in the organisational team. For more information on the conference, including pictures, videos and abstracts head to www.cognitivegamestudies.com or follow us on Twitter and on Facebook.